Increase SWING SPEED! Develop Explosive POWER! The SUPER POWER GOLF Training System '75-page' digital eBook. '4' weekly progressions of golf-specific, swing speed, power and distance-building exercises and swing drills. Instantly downloadable, full-color, easy-to-follow, 'custom' PDF and HD video instructions. Conveniently train from the comfort of your own home, and on your own schedule. Weekly 'live' Facetime, Skype or Zoom video chat support. 7-day/wk email and text support. PLUS... '5' FREE BONUS PRODUCTS!!! And... an 'upgrade' opportunity to join the SUPER POWER GOLF Academy 'Private' Members Area! And, start 'crushing' your drives in 30 days - GUARANTEED!... Or your money back! The Callaway Golf Fitness '1% Club' Membership Program provides each subscribed member with fully-remote, customized, golf-specific 'physical' fitness and 'mental' game training... plus other 'Member's Only' services that are accessed completely 'on-line' with complete, step-by-step, e-based support from Dr. Paul Callaway. This 'all new' 140-page 'GOLF MASTERY' eBook provides golfers with key information targeting the essential performance elements of golf-specific physical conditioning, mental training and swing mechanics to help golfers of all ages and ability levels 'master' their game. '3' x 30-minutes of 'one-on-one' coaching with Dr. Paul - Detailed 'mental game' assessment and personalized coaching plan. Unlimited email coaching support for the duration of the package. Coaching support calls 5-10 mins before and after big competitions when needed. Comprehensive handouts and practice drills and self assessment sheets to support your program success. The 'insider' truths every golfer needs to know about golf fitness training and performance. 'Performance Secrets of the Pros' is a comprehensive, A-to-Z information resource for any golfer who wants to learn how to reach their ultimate performance potential in golf. This 146-page e-Book Includes detailed information about golf-specific posture, balance, flexibility, and strength training exercises... just like the PGA and LPGA Tour pros... to help your total golf performance and prevent injuries. Discover the Callaway Golf Fitness and total golf performance secrets for a lifetime of success both 'on' and 'off' the course. 'Golf-Fit for Life' delivers 86 pages of valuable content for golfers of all ages and abilities to learn about key elements of golf-specific physical conditioning, mental training, nutritional support, and effective practice strategies for optimal and safe performance. The Callaway Golf Fitness 'Goal-Getter': Total Golf Goals Achievement Program is the 'most complete', simple-to-use and highly effective method for setting and achieving any golf performance goal you choose. This 58-page e-book is a 'must' for any golfer who is serious about reaching their full golf performance potential. 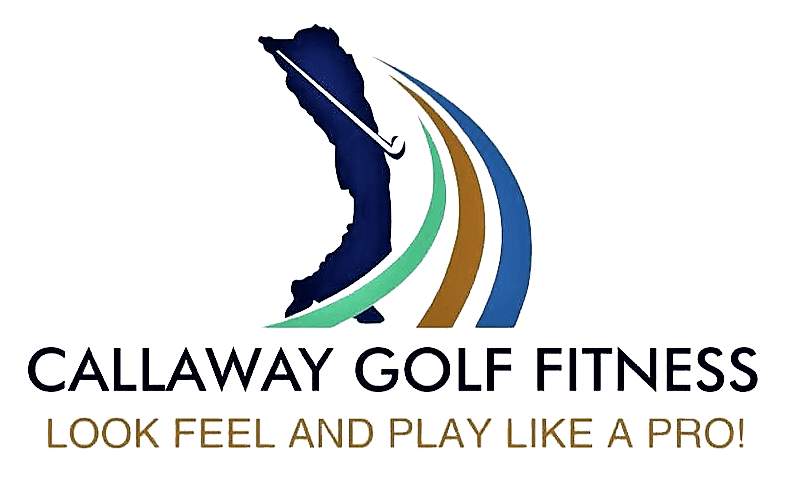 The Callaway Golf Fitness 'Gift Certificate' can be purchased for any dollar amount and be used for any/all of the available Callaway Golf Fitness Training products and services. This 120-minute comprehensive, golf-specific, initial performance evaluation objectively measures each golfer's 'physical' and 'mental' performance elements including... posture, balance, flexibility, strength, full swing mechanics, swing speed, medical history, visualization skills, concentration, focus, and confidence levels, total golf performance goals and wellness objectives. From the evaluation findings, a custom golf-specific 'physical' and 'mental' fitness training program is designed to meet each golfer's targeted needs. The 'Golf Fitness Training and Total Performance Guide' for Professional Golf Instructors e-Book is a comprehensive, 146-page instructional manual specifically written for PGA and LPGA golf instructors to help their student's recognize and develop the essential golf-specific 'physical' requirements of posture, balance, flexibility, strength and control to help total performance and prevent golf-related injuries. This E-book is a 'must have' tool for any golf coach who is looking to help accelerate their students' total performance results with reduced risk of injury. The "Health and Fitness Professional's Guide" to Modern Principles of Treatment, Rehabilitation and Total Performance Conditioning for Golfers e-Book is a comprehensive training manual for health professionals and fitness experts. This 146-page e-Book is jam-packed with the 'A-Z' elements of working with golfers to effectively manage and prevent golf-related injuries and design customized, golf-specific fitness training programs. If you are a health and fitness professional who works with golfers, you definitely want to have this information!